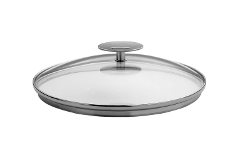 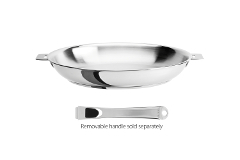 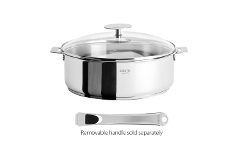 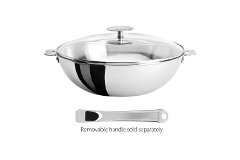 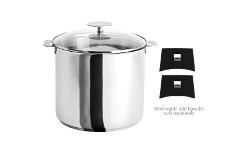 Cristel Casteline Removable Handle stainless steel cookware is ideal if you're tight on storage space. 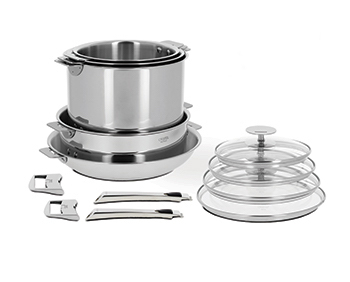 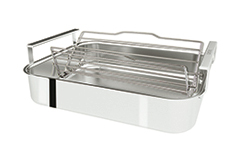 This fully clad stainless steel cookware quickly and evenly heats to high temperatures needed for searing meats. 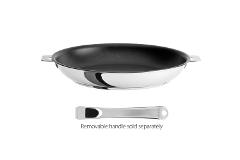 Fully induction compatible too! 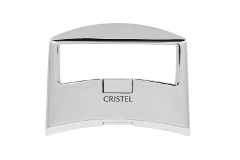 Enjoy tremendous temperature control due to Cristel's fully clad 5 layers of metals, that extend to the tops of the pots and pans. 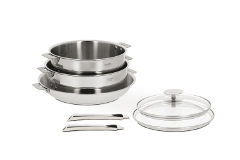 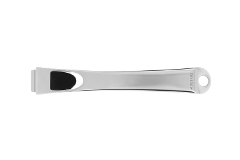 Three stainless steel layers cover 2 fast-heating aluminum layers. 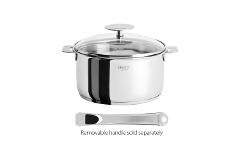 Cristel Multiply cookware is induction compatible and has a lifetime guarantee.